When it comes to the best iPhone X case a flip case is definitely a great choice because it is so much more than just a case. Sure it gives you the much-needed protection for your iPhone X that you need. Yet it also gives your device some privacy. So if you are looking for the best iPhone X flip case to pair up with your smartphone then read on. We will cover which cases let you hold your device comfortably and also give it the care it needs to be safe. The great thing about iPhone X flip cases is there is a lot of choices and they come in a variety of styles. If you like to be vintage then maybe the Bentoben will be the one for you. Or if you need everything that a case can offer then probably the FLY HAWK will be more fitting. Some flip cases are nice and sleek where others are a bit bulkier for that added layer of security. Read on an discover our top 5 of flip cases for an iPhone X.
Bentoben flip case focuses on the vintage lover design. 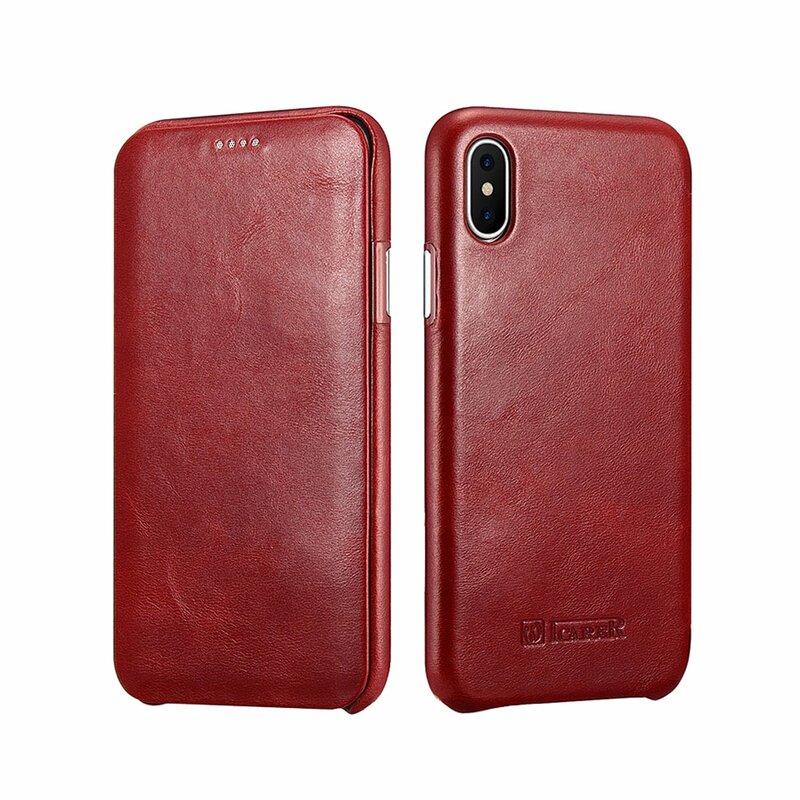 Cowhide leather finish really shows the premium quality of this flip case. Definitely, a lot of thought process has gone into the design. Showcasing three card slots and a sleek money sleeve makes it that you can always carry all your valuables no matter where you go. At under $20 it really is a steal. A strong case also it will protect your device from an accidental fall. Of course, the flip case can also double as a stand, so you can kick back and relax to a movie. No chance of this case opening by mistake, with a nice magnetic closure. The leather is perfect brown color and will really fit with any style of clothes you may wear. The FLY HAWK is a great flip case for your iPhone X if you prefer the classic design. Such a timeless synthetic leather beauty. Finished off with soft rubber casing, it keeps your phone in place and protected. The design is built to absorb shocks so your smartphone will be perfectly safe. There are three card slots and money pocket so you will have space to carry things around. With a nifty magnetic closure, everything stays tight and secure. Also, the stand props your phone up at the best viewing angle so you can enjoy a film. Also comes in four different colors so there is a style for everyone. 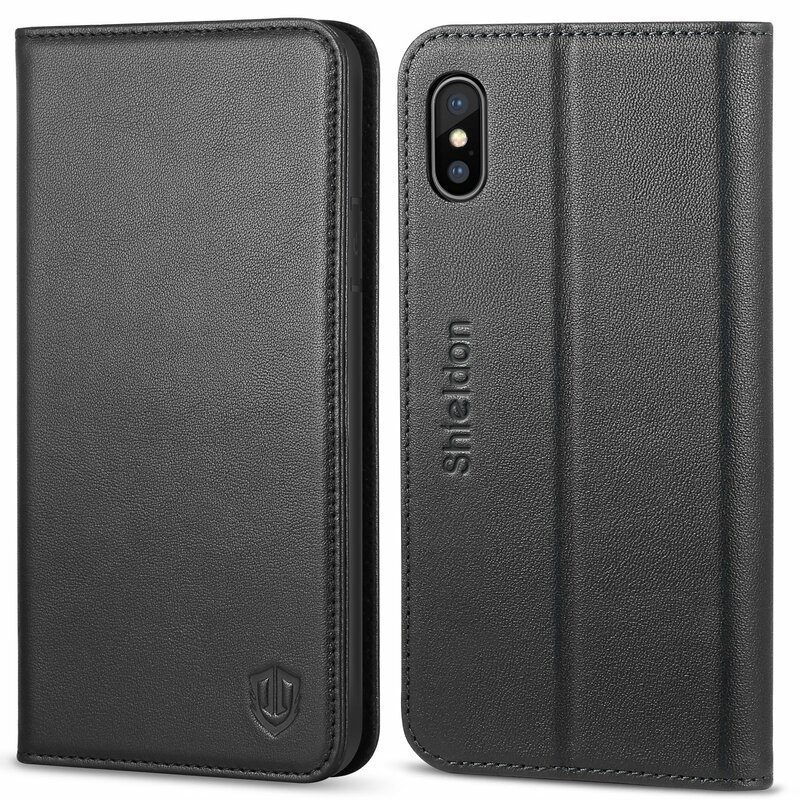 Shieldon is the premium option for those looking for complete protection. Top of the shelf cowhide leather shows that these manufacturers were really thinking about your smartphones’ comfort. It has a very strong TPU interior making the flip case withstand any sort of impact. A slot for money and space hold three cars as well, there is nothing this case can’t do. It snaps back into a stand also so you can watch media in a landscape way. All the cutouts of the case fit your device perfectly so this is an optimal flip case choice. And amazingly it has a lifetime warranty and comes in six different colors: a choice for every iPhone X user. I-CARER RUIRUI has a low profile and minimalist outlook. 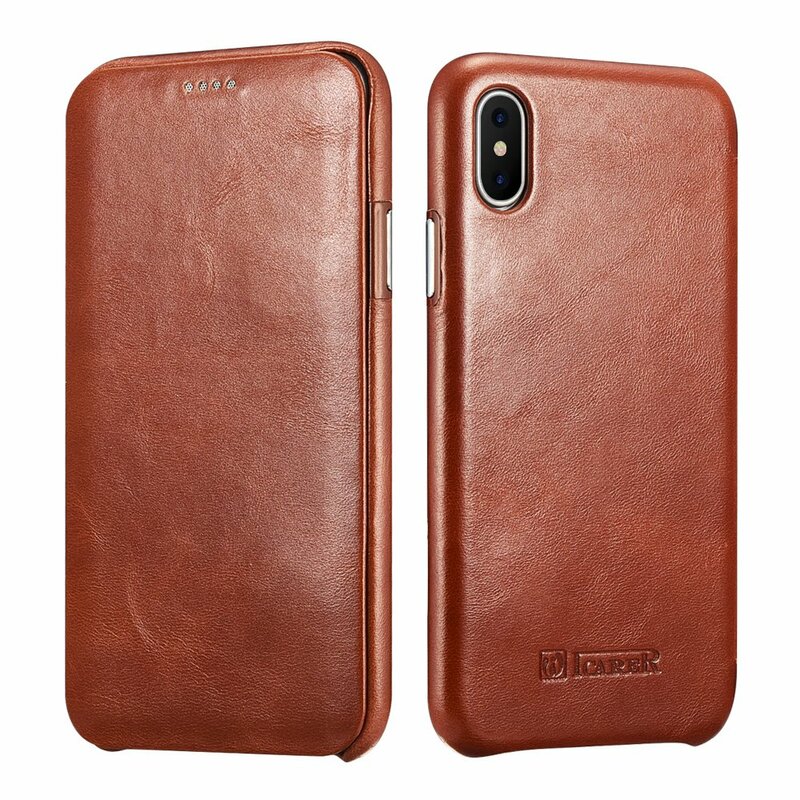 This is a flip case made from real cowhide leather and will be able to protect your iPhone X against anything. Your smartphone will be shockproof and scratch proof, the perfect flip case for someone who likes adventure. The magnetic closure lets you rest easy knowing your flip case is not going to suddenly hop open. No problems adjusting the sound or quickly taking a photo, the cutouts fit your device perfectly. Beyond its rich features, the I-CARER RUIRUI is available in a wide selection of color variations. This makes it a flip case ready for any sort of style or occasion. Icarecase, what a design, what a flip case. This beauty just oozes sophistication that will make all your friends jealous of your flip case. 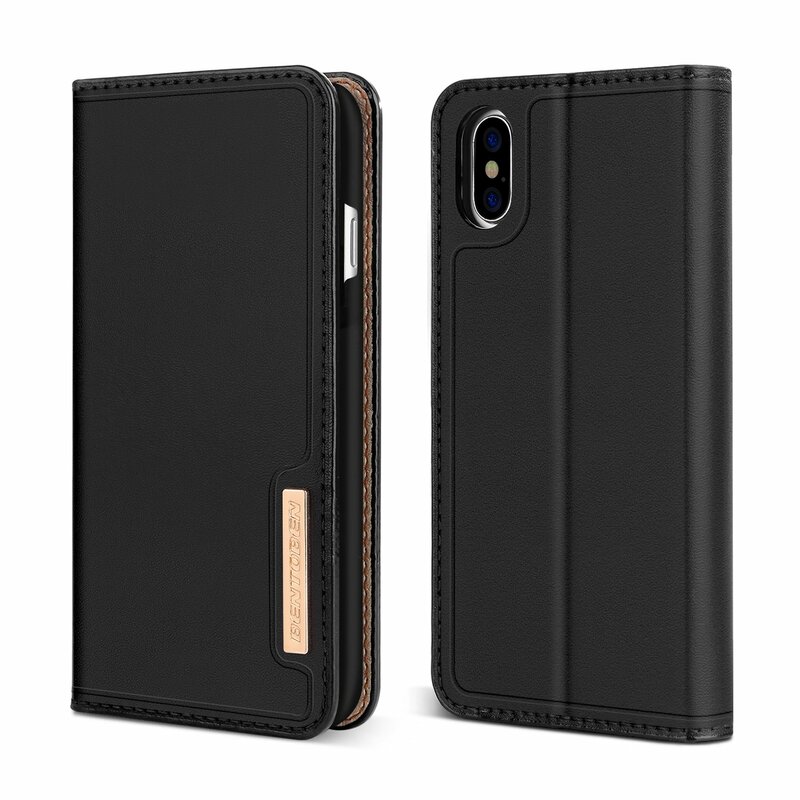 Premium craftsmanship has gone into this iPhone X case. The slim look just is incredible and gives your smartphone that smart look. And the case is ultimately super secure making it a great gadget to put your device into. The soft microfiber interior provides an extra safety net for your smartphone to rest in. With the smooth surface, it grips the device perfectly never letting go. And Icarecase comes in some nice color schemes like black, brown and khaki. What more could you need? And that’s our selection of top iPhone X flip cases, what’s your favorite? Hopefully, we can see some snaps of your iPhone in its new case. Definitely would be cool to know what case you decided to go for so, let us know! Cell Phones: How Have They Changed Us Socially?